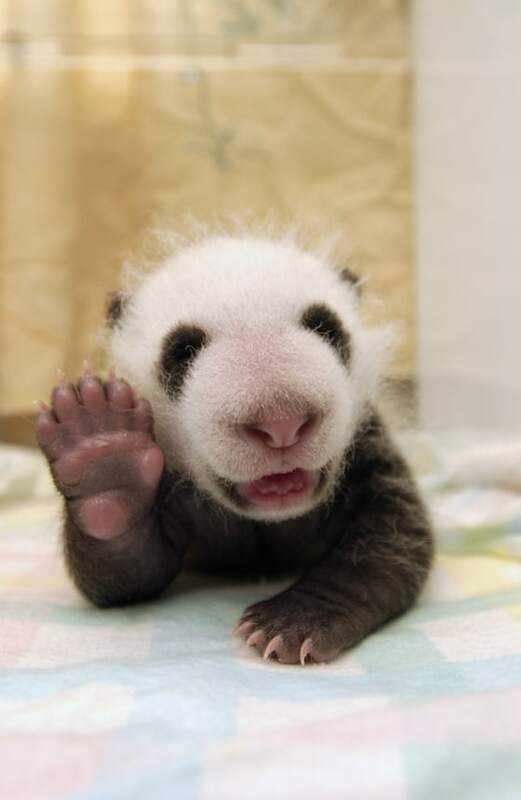 A group of panda cubs are melting hearts this week as they play around and pose in a series of almost unbearably cute photos, from flashing a wave to kicking back and chilling out. The cubs were snapped in action at the Conservation and Research Center for the Giant Panda at the Wolong Nature Reserve in Sichuan, China, according to photographer Dr. Katherine Feng. 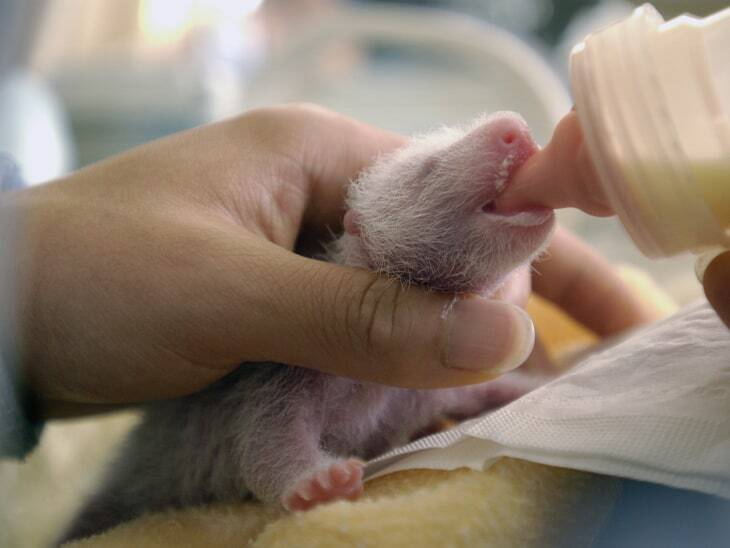 In this picture, a baby panda lies on its back in an incubator. 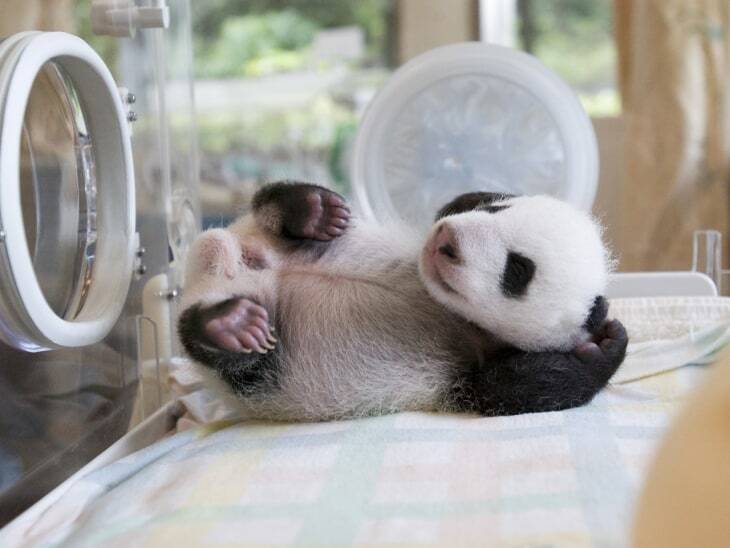 One blissed-out panda cub was the picture of relaxation as he sprawled on his back in an incubator with his paws cupped behind his head. Medics weighed, measured and fed the 37-day-old before returning him to the see-through box, according to Feng, where he wriggled around and settled on his back. This mother panda carried its new baby in its mouth. 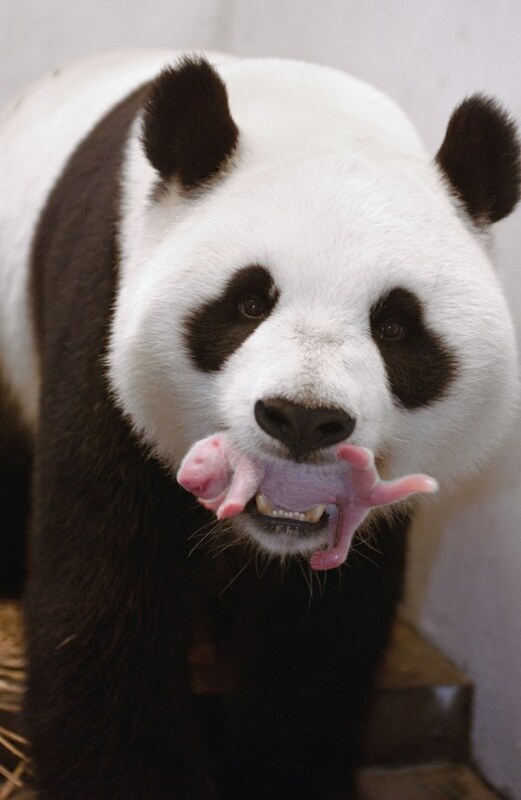 In another image, a panda is seen carrying its baby in its mouth just a few hours after the cub was born. Feng has been photographing pandas for years, ever since she formed a bond with the reserve on her first trip to China. The photos were taken at the China Conservation and Research Center for the Giant Panda at the Wolong Nature Reserve in Sichuan, China. Feng, a former veterinarian, became passionate about pandas when she first visited the Wolong Nature Reserve on a trip to China in 1982. Her photos were featured in the book “Panda Kindergarten,” and the Colorado-based photographer now returns to the wildlife preserve several times a year.